For most of my adult life, I thought I was the only one to suffer this self-inflicted wound. I even lied about it for years, trying to rationalize my youthful behavior as if it would make any difference at all. I carried an inner shame that couldn't be shared with anyone, for fear that I'd be judged as an idiot... a cretin... a person who failed at a basic test of courage and tenacity and fortitude. I DID NOT REACH THE RANK OF EAGLE SCOUT. There... I said it. WHEW! Achieving the rank of Eagle Scout should have been a no-brainer, It was almost predestined that I would become one at 14 years old, and yet I made a conscious decision to NOT let it happen, and that decision in 1970 haunted me well into middle age for reasons both simple and complex. But those days are past, and now I actually revel in the notion of what I did and why I did it. Awesome Dad worked hard to raise my younger brother and I by himself, with lots of help from various relatives, but sometimes he struggled being a Single Male Parent. I think that's why he had me join the Cub Scouts, where he became involved as a Pack Leader, which morphed into Boy Scouts, where he was the Scoutmaster of our Troop. He wasn't just the Scoutmaster... he and several other Dads of my soon-to-be Boy Scout friends didn't like the look of the local Troops, so they formed a brand new one, based at Sunset Elementary School in La Puente, California. Over the next 5 years, I experienced one of the most important, formative, positive and enjoyable parts of my early years on this small Blue Planet. Looking back on it now, I'm grateful to have been involved in Scouting as opposed to sports, because I learned far more about the world as a result. Some of my experiences didn't happen to anyone else I knew who weren't involved in Scouting. Sure, hiking and camping and cooking and knotting and first aid and all the stereotypical Boy Scout stuff, it all added to my quiver of campcraft. But there were also other special experiences that forever affected my malleable young self. 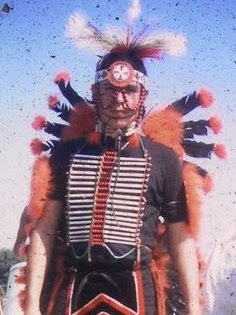 For example, becoming an Indian Dancer, a 'Modern Oklahoma Fancy Dancer', to be exact, the result of being in the Order of the Arrow, a Scouting honor camping society based on Native American philosophy and lore. Dad gave scads of time to organize and support our local Indian dance troupe, and we performed all over Southern California. I was good enough to compete in and win several local and regional events, earning a chance to compete at the Nationals in Illinois. My first Indian Dance costume, Dad-designed and fabricated! Imagine: a 13-year-old attending the Order of the Arrow National Conference and Indian Dance Competition in Illinois, part of a 3-week mid-Summer road trip with two adults and eleven other Scouts in two station wagons, from SoCal to NYC and back again. Many firsts occurred during that amazing journey, but those youthful secrets will remain for another essay, another set of searing memories. That kind of road trip could NEVER happen in our modern helicopter-parenting age. Picture this: a dozen condoms, bought at a gas station bathroom in Joplin, Missouri for $.25 each, inflated and tied to the car's antennae, flapping like mad in the wind while we raced thru the state at 70mph, laughing like hyenas. Yep, that kind of trip. 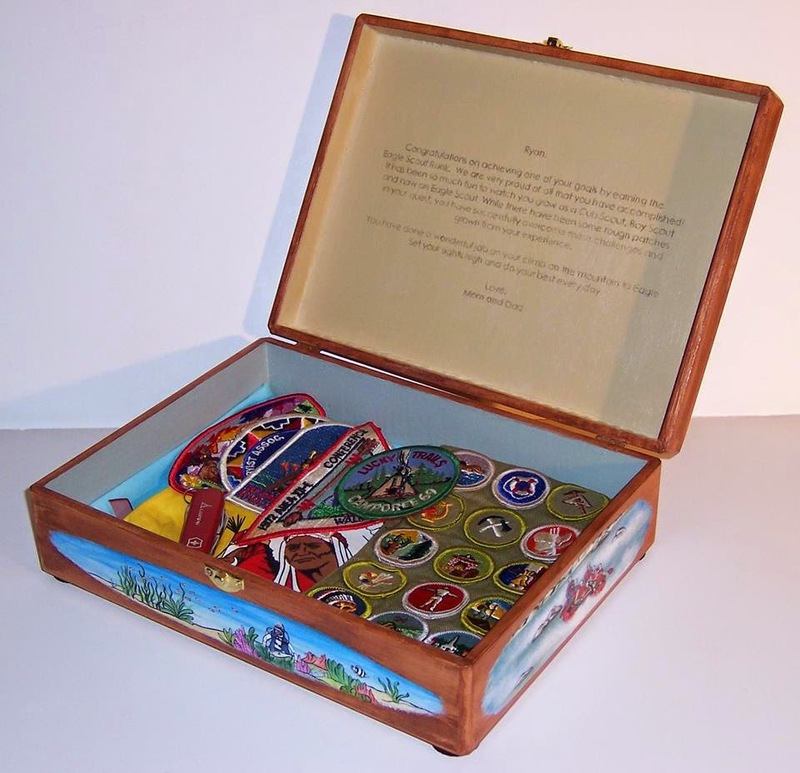 By my 14th birthday, I had the requisite number of merit badges and the goal of achieving my Eagle Scout badge was in sight. Although there were a couple of others in my Troop that were also on the same path, I was far ahead of them and would soon be THE FIRST EAGLE SCOUT in Troop 715. Dad rode me hard, made me do the work, never relented on the pressure for me to follow through. But somewhere in there, I spun out. I got mad at Dad, like all teenagers do. I felt he was putting too much pressure on me to make the rank ahead of my friends/rivals for his own reasons. I didn't understand what the big deal was (dumb kid that I was) and that it was all about him, not me. I had completed my Eagle Project, and all I had to do was write and submit a project report to our local Council to cross the Eagle Finish Line, but I felt like it was an empty gesture, a thing of no value to me in any way. I refused to write the report. No matter how much Dad cajoled and pressured me to take that last step, I refused. Sure enough, one of my good friends/bitterest rivals caught up and earned his Eagle, the FIRST ONE in our Troop. To make matters worse, I even performed the Eagle Dance at his award ceremony, strutting and spinning on stage with my Eagle head and wings, dancing to the drum beats, feeling Dad's anger and shame from across the room. I won. I was victorious by denying him what he wanted most. I had POWER, for seemingly the first time in my life. And for the next two years, I just cruised through Scouting, never taking that last step, never going the final mile. By the time I turned 16 and got my first car, I was done and gone from Scouting, separated forever from the specter of the Eagle Badge. As an adult, the shadow of that non-achievement haunted me, making me feel like I'd given up something important, something that was totally in my grasp but let slip away. If the subject came up, I would lie about being an Eagle Scout, but it was just me rationalizing about making it THAT CLOSE, so it counted, right? But it didn't count. I wasn't an Eagle Scout. I had failed. Eons later, talking about it with Dad, he said he hadn't even thought about it... but I KNEW DIFFERENT. I knew he was pushing down the abject disappointment of my failure all those decades ago, I was sure of it. As time went on, that missed opportunity turned into a jagged little pill, spinning around in my rabid wolverine gut, making me feel like that singular teenage act had some kind of dark juju hanging over my psyche. About 5 years ago, our next-door neighbor's oldest son Boris (not his real name) earned his Eagle Badge, and The Artist and I were invited to attend the ceremony. We went to the church where the event was being held and were hanging around outside when I saw Boris talking to a few of his friends. I asked to speak with him privately for a few minutes. First, I gave him my Camp Cherry Valley (Avalon, CA) 'Staff' neckerchief that I'd had since my Scouting days, which he loved since he'd be spending a week at the same camp later that summer. Then I told him about my not having achieved the Eagle rank, how and why it happened, but also why I was a better person now because of Scouting, Eagle or not, and that I was incredibly proud of him for finishing his quest. He was visibly moved, thanking and hugging me for taking the time to share these personal truths with him. Very powerful stuff. Once inside the church, we witnessed a ceremony steeped in tradition and reverence. I was time-warping in a big way from all the trappings... the scouts, the uniforms, the flags, the adult leaders... all of it. The thing that really took my breath away was the joy, pride and happiness of Boris' parents, sitting there beaming. When I saw the bliss on their faces, I was thunderstruck at the reality of what I'd done to my Awesome Dad all those years ago. He'd been denied that moment of parental joy because of my youthful selfishness, denied of the honor that would not and could not ever be grasped. I sat there mute, holding The Artist's hand, thinking to myself, "How could I have done that to Dad?!?!" But it only lasted a few moments, because I also realized that, good or bad, I'd made a decision and stuck with it all those years ago. I became filled with pride and joy for Boris' achievement and felt like I was up there with him on stage, smiling like a loon, being THE MAN. I had been talking about this Eagle mindfuck with The Artist in the days leading up to this moment... I looked at her, she smiled and I knew she knew exactly what I was thinking. Funny how that works. All at once, the guilt and shame and regret over my selfish act of parental denial faded away, replaced with a sense of understanding, happiness and compassion. When the ceremony ended, we left for home, me released from a weight that I'd carried for most of my adult life. This is what it means to be forgiving of one's own (self-perceived) faults. How many of us carry around these self-inflicted wounds, forming scabs that constantly get ripped off to reveal the raw emotional flesh underneath? It's almost unbelievable that I labored with this internal struggle for so many years, all because of a teenage angst-ridden decision. But the truth is, most everyone have regrets from their youth that were never resolved and still haunts their sub-conscious mind. Sometimes it becomes so prevalent, is filled with so much anger and pain and hurt, we drown ourselves in drugs or booze or food or emotional upheaval and it poisons and destroys every other aspect of our lives. Anyone who has ever watched an episode of 'Intervention' knows that one single childhood trauma can have disastrous repercussions for the rest of your life unless you deal with that trauma, learn to forgive yourself and then move on. However, I am here to say that as traumatic as this insane Eagle issue was for me, it is now merely another closed chapter in my life's novel. I've removed the bookmark from that page and have started the next chapter. The things I learned in Scouting... the 12 Scout Laws, the concepts of the motto 'Be Prepared' and the slogan 'Do a good turn (deed) daily'... those things have stayed with me and will always be a part of my deep rooty-root character. How could I have known the idea of always doing for others first would be my life's mantra? I couldn't and didn't, yet they're among the most important elements of who I am now. I may not be a fan of what the Boy Scouts have become these days, entrenched with religious dogma and its regressive ideology, but I'm glad to have gotten my Scouting goody when it mattered most to me. I owe it all to the Awesome Dad. A Boy Scout Is Trustworthy, Loyal, Helpful, Friendly, Courteous, Kind, Obedient, Cheerful, Thrifty, Brave, Clean, Reverent (my troop's secret laws also included 'Hungry, Lazy and Girl-Crazy'... heh heh heh). Could there be a better list of secular human behavior to aspire to? No, I don't think so. 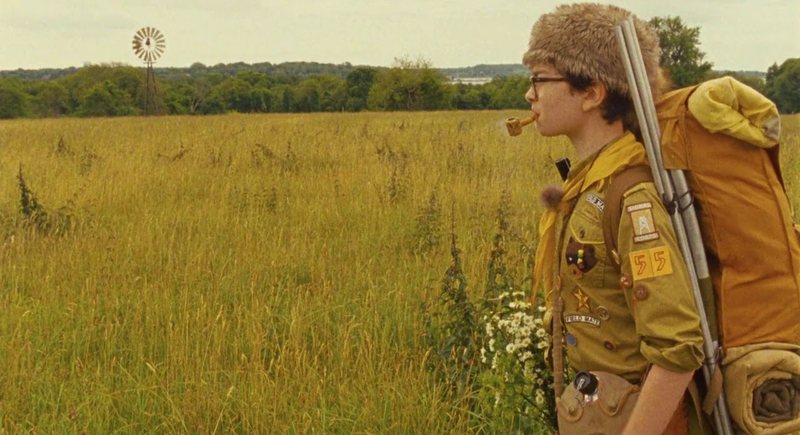 Closing Notes: I used the lead image and closing video clips from the 2012 Wes Anderson film 'Moonrise Kingdom' for a very specific reason. Although the 'Khaki Scouts' portrayed in the film don't really exist, the tone and context they display, along with the entire film, are crazy-similar to my Scouting and youthful reality, strange as that may seem. I totally identify with Sam Shakusky's main character in so many ways, it's almost scary. In addition, heroine Suzy Bishop is a dead-on ringer for The Artist in her formative years, and I like to think that her and I would be exactly like Sam and Suzy if we had met as barely-teens. Lead image, Gracias de arewenotentertained.com; 'Moonrise Kingdom' videos, Gracias de youtube.com; Eagle Scout Memory Box image, Muchismas Gracias de MisguidedDesigns.com. Hungry, Lazy & Girl-Crazy!